Focus respects your privacy. Your email address and contact information will never be shared with a third party without your consent. 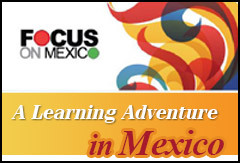 Note: If you change your email address, please notify us immediately at bookings@focusonmexico.com. Once you Register, you will get an invoice via PayPal for $100USD per person as a Deposit to hold your spot and confirmation you are good to go! You do not need a PayPal account as credit cards can be used to pay a PayPal invoice. About a month before the Program, we will invoice you for the remaining balance. Cancellation policy; we send out a $100USD Deposit Invoice shortly after receiving your Registration. This confirms and holds your spot. If someone needs to cancel, we officially don’t refund that $100 deposit. (however, if it is months in advance – unofficially we have refunded – hey, life happens!). 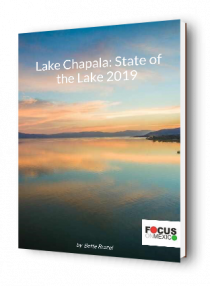 About a month away from the Program, we send out the invoice for the remaining cost of the Program and A La Carte choices. If someone has paid the full shot, the most we will hold back is the original $100 deposit. Also, several times in the past, the timing did not work for someone and they just transferred their Registration to a future Program – no penalty. We are not a giant corporation – we are here to help you navigate your next chapter in life!